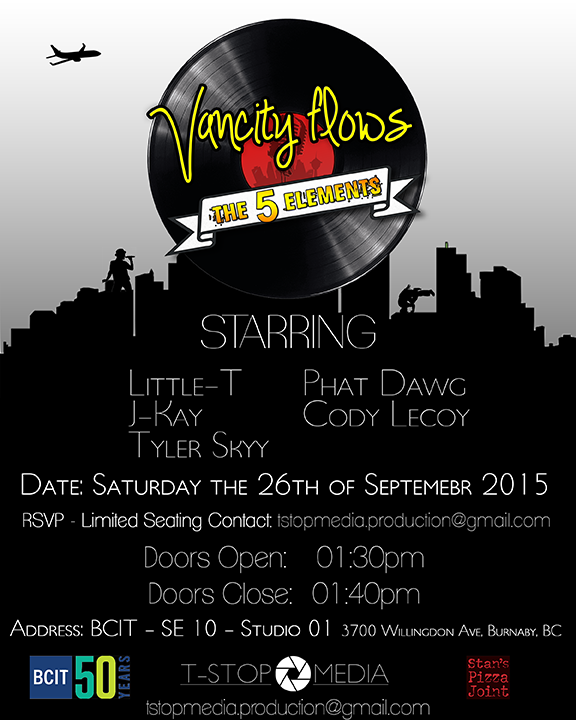 Vancity Flows – Live Event this weekend! Vancity Flows: The 5 elements interviews and showcases Hip Hop artists from Vancouver who share their creative experiences in the industry and give advice to up and coming performers or anyone looking to get into the arts. The goal is to share and spread Hip Hop culture through the five elements of Breakdancing, MCing, DJing, Graffiti art, and Beatboxing. We hope to take this pilot and use it to create a full TV series.